We normally try to stay away from Kickstarter products but this is too crazy to not talk about. 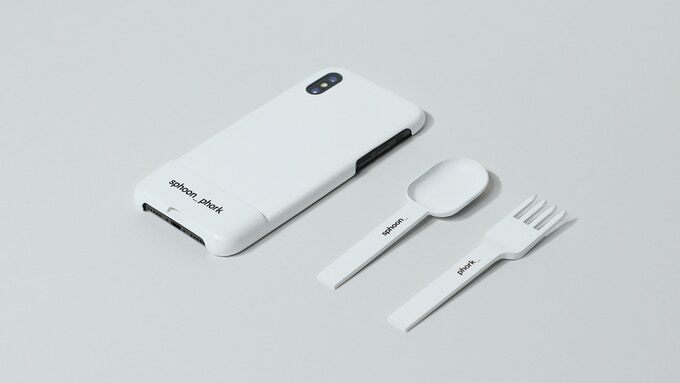 It’s a spoon and fork case for your smartphone. Yup, the Everyday Carry Cutlery world may have gone a step to far. Compatible with iPhone 7, 8, X and XS this case has a plastic spoon or fork inside that can attach to the phone. Wondering why you smelt soup on your last phone call? Now you know. What makes a Smart fork smart? What makes a dumb spoon dumb? Ummm…let’s answer the fork question. This fork in particular is considered Smart because it will connect via Bluetooth to your phone or tablet and watch you eat. OK, not really watch you but it does track the number of “fork servings” (each time food is brought to the mouth) per minute. The idea is that the fork and your phone will track how much and how fast you eat and help you eat smarter. The fork will actually light up and vibrate when you are eating too fast. Cyber Cutlery or Foolish Flatware? I’ll let you and your Smart fork decide between the two of you. So Why Does a Wooden Spoon Stop Pasta from Boiling Over? 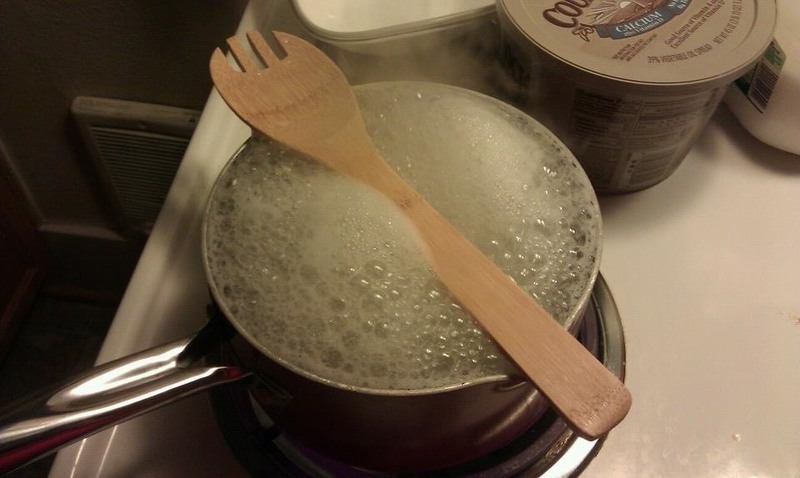 A simple wooden spoon can keep my pot of pasta from boiling over? This piece of kitchen cutlery will prevent my stove from being a complete mess? Would a metal spoon work? What about a fork? Any flatware? So many questions. I’ve never tried this, but I will. The folks at Wonderhowto.com claim it works and explain why.